$495 • The Petite Festoon is charming to the eye. 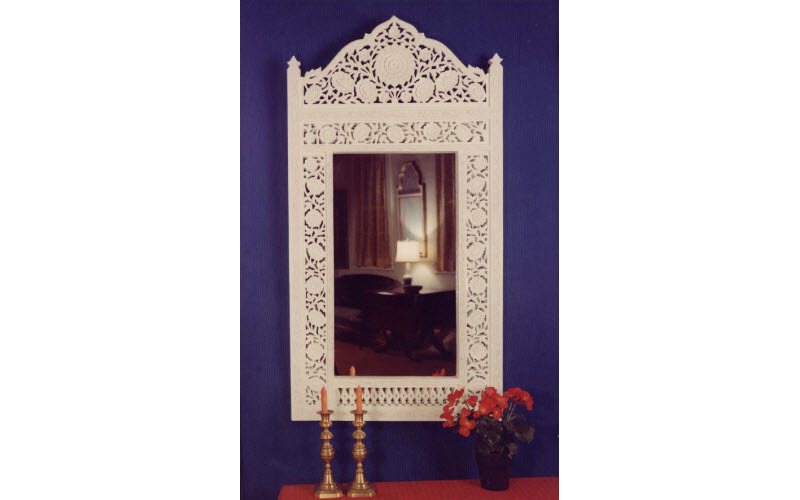 Its garland of flowers festooned across the mirror is held by two generous corner rosettes. 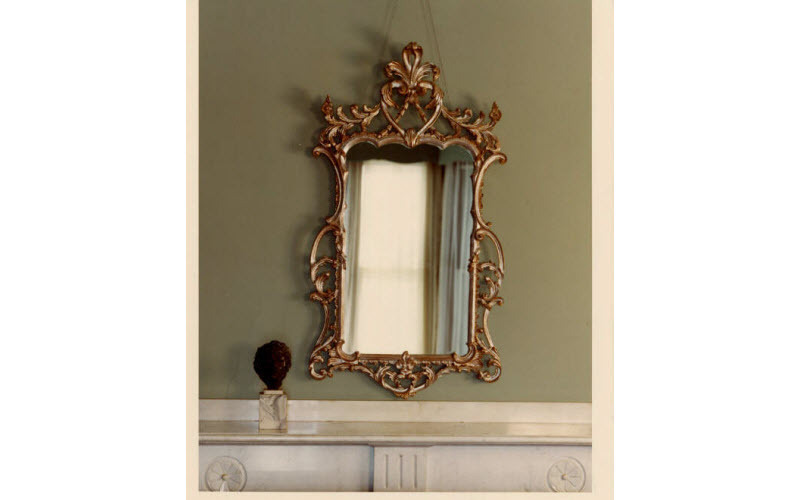 The frame panel shown here in antique aqua is also available in faux bois mahogany. The gold leafed ornamentation is finished with an antique patina. As seen in Victoria Magazine. 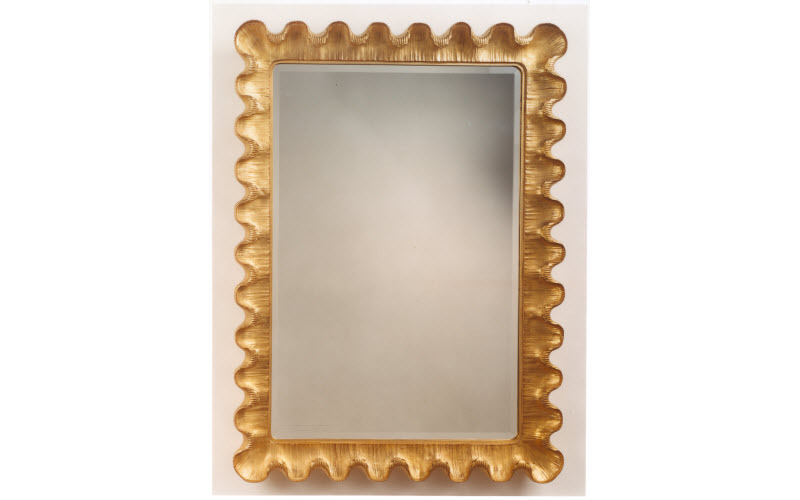 $1,059 • The Cat-O’-Nine-Tails is shown in Antique Gold Leaf with a beveled mirror. It is shown in the October 2017 issue of Architectural Digest. 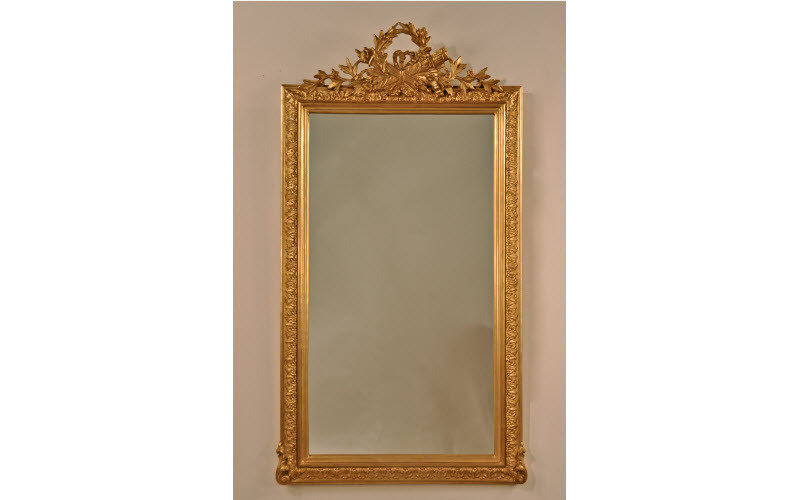 $1,975 • The Acanthus Crest is shown in Antique Gold Leaf with a plain mirror. It is shown in the June 2017 issue of Architectural Digest. 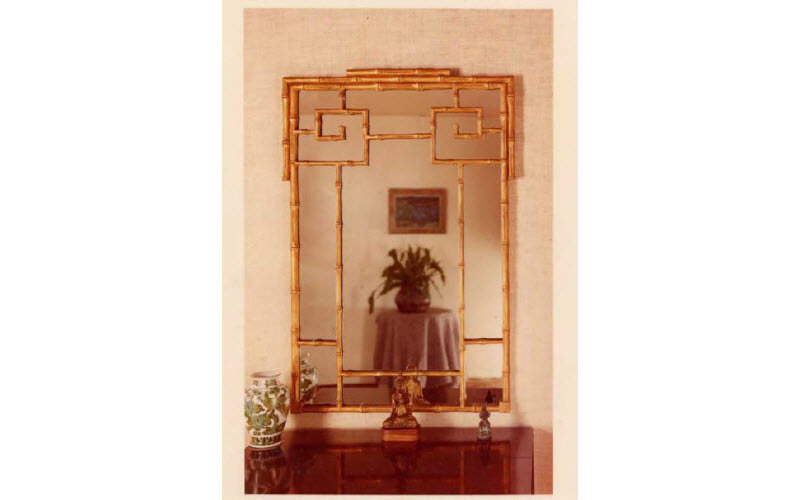 $1,300 • An Art Deco design inspired by Jean Michel Frank, famous for his ocean liner interiors. The stylized wave motif is shown in a gesso white edged in gold. As seen in Elle Décor Magazine. $2,025 • The Diana II is shown in Antique Gold Leaf with a plain mirror. It is shown in the February 2017 issue of Architectural Digest. 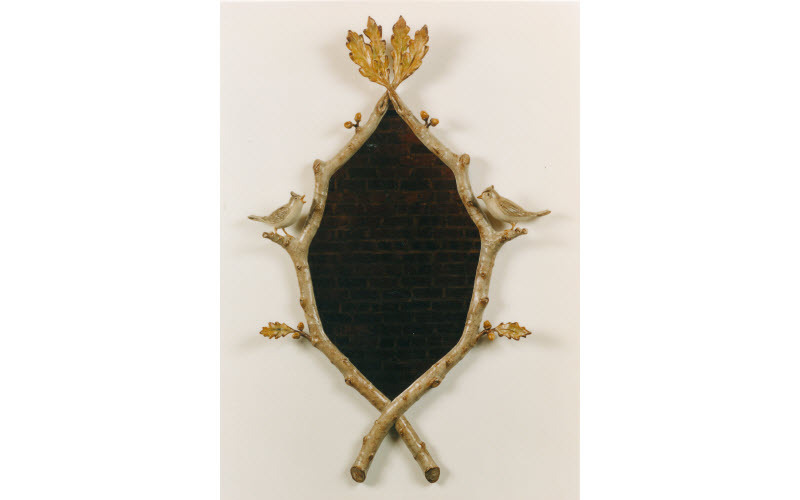 $975 • The frame is part of Carol Canner’s nature series. 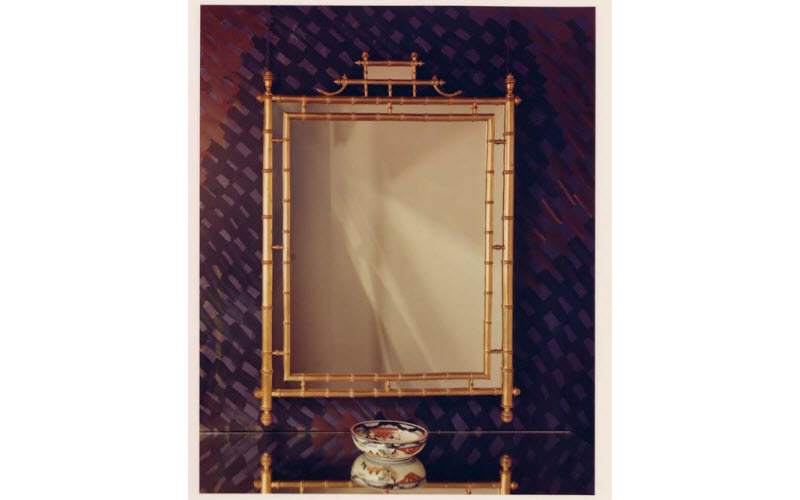 As seen in Elle Décor Magazine. $1,550 • A lively Art Deco piece inspired by the sophisticated design of Jean-Michel Frank, famous for his ocean liner interiors. The stylized wave motif catches the light delightfully in Antique Gold Leaf or Sterling Silver Leaf finishes. 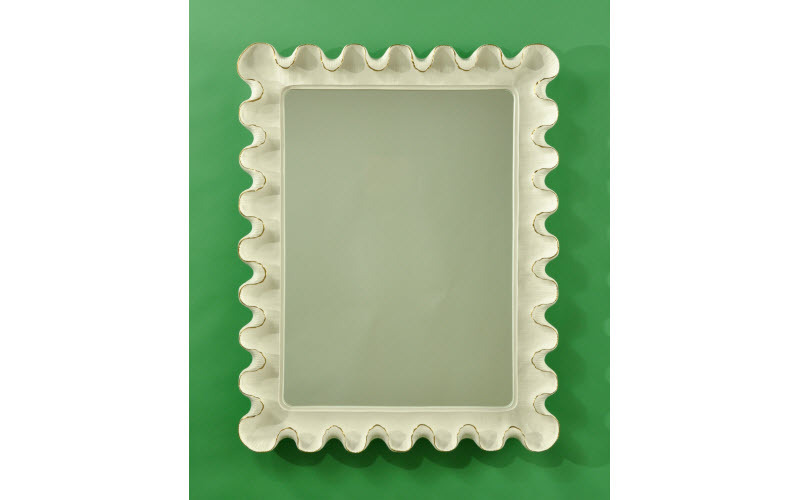 A beveled mirror adds extra cachet. $1,700 • Carol Canner’s NEW WAVE original sculpture has a very lively double wave surround and a scrolling cresting top wave. Little openings between the waves suggest fish as the mirror peeks through. 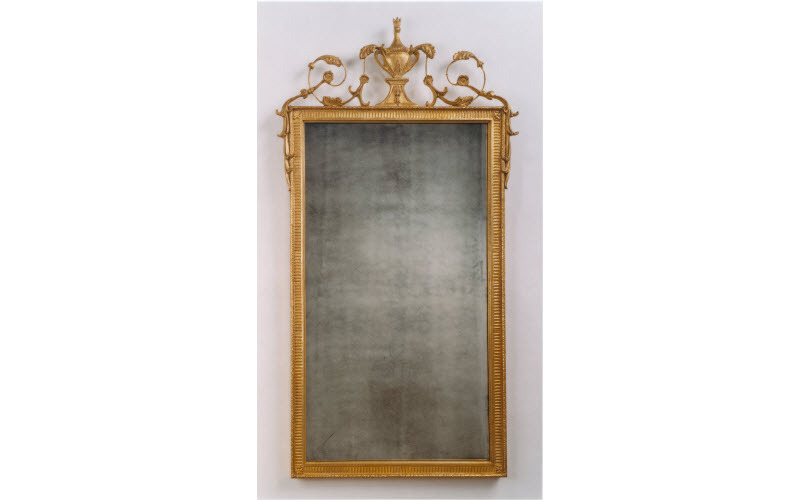 In a gesso white finish it’s a contemporary art piece. 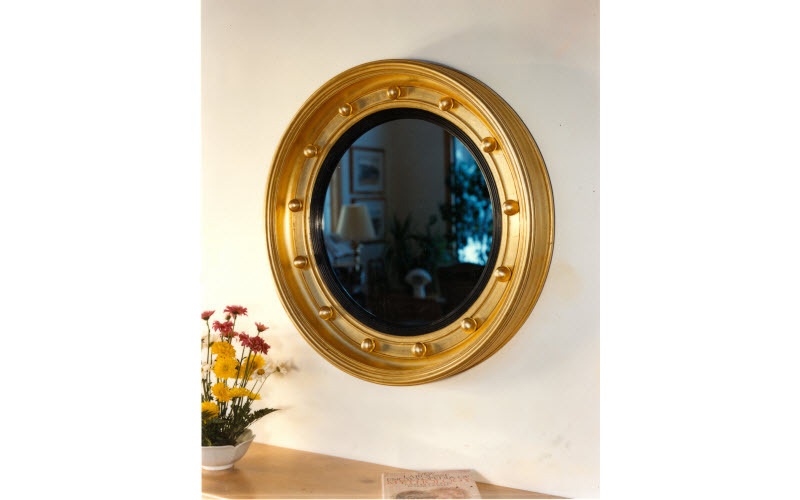 In gold leaf it shimmers like the sun on water brightening a traditional interior. In silver leaf it is cool and watery with bright high lights to accent grays, blacks and neutrals. $1,475 • A handsome piece with delicately fluted molding topped by a classic Urn with Adam scrolling flowers and leaves. 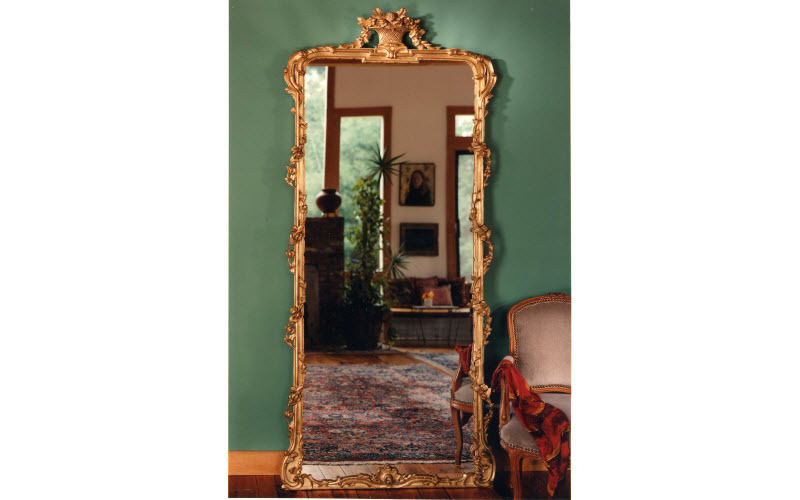 The Antique Gold Leaf finish and antique mercury glass mirror add a magical touch. 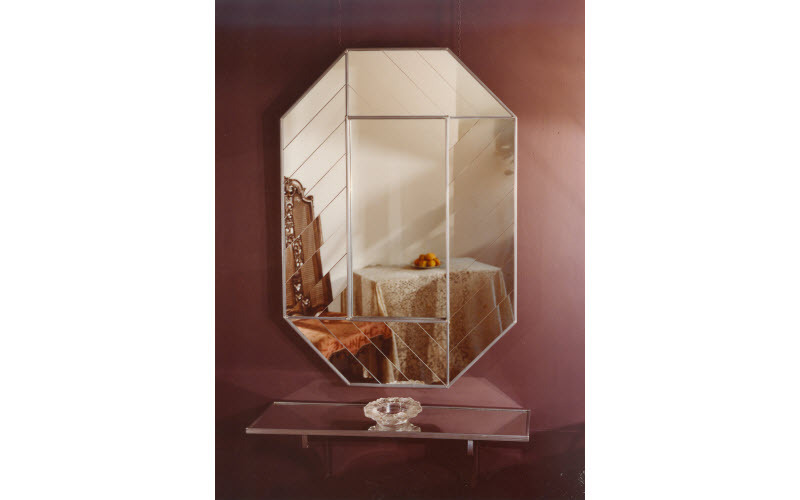 The Grand Adam Rectangle is also available in a clear glass mirror with a bevel. 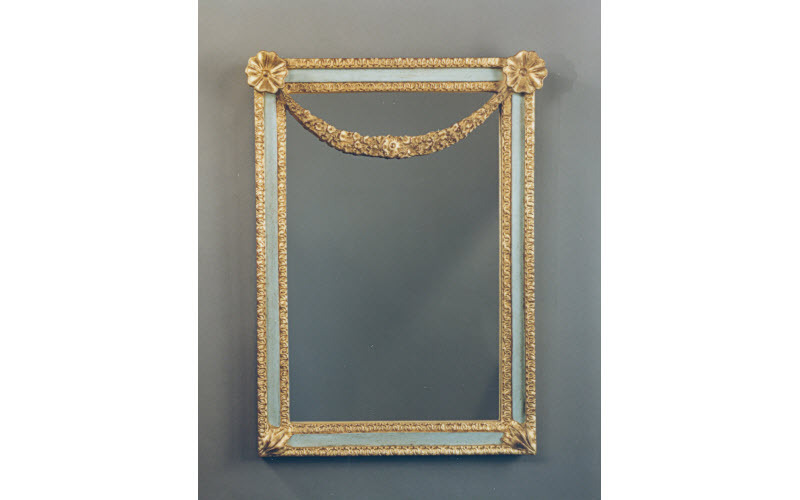 $2,175 • The frame, banded in lead, is a fantastic border of parqueted and faceted mirrors. Each piece is hand cut and polished. Together they refelct a pattern of multiple images. As seen in Domino magazine. #5285 Grand Federal Rondel 33″ diam. $2,975 • The dramatic scale of the grand rondel is extraordinary. Deeply undercut, the turned molding is 6″in width, 5″ i depts, and 33″ in diameter. Thirteen fully round balls symbolize the original colonies of the Federation. As seen in Domino Magazine. $995 Gold • A masterful synthesis of natural elements with an historic architectural arch. As seen in Shop Etc. magazine. $1,475 Handpainted • $1,225 Gold • From a perch of crossed oak boughs with leaves and acorns one tufted titmouse serenades another. A softly hand painted finish captures this charming moment in nature. Also available in Gold Leaf. As seen in Domino magazine. $3,625 Gold • The Panier de Fleur is crowned by a golden basket of spring flowers and bordered by cascading floral vines. 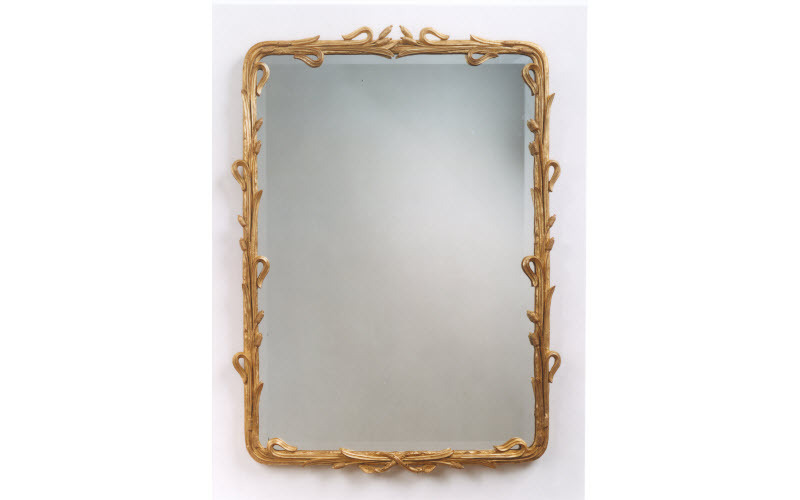 Undulating acanthus leaves form a stately framework for this 18th century French mirror, embellished with hand-laid gold leaf and and antique patina. 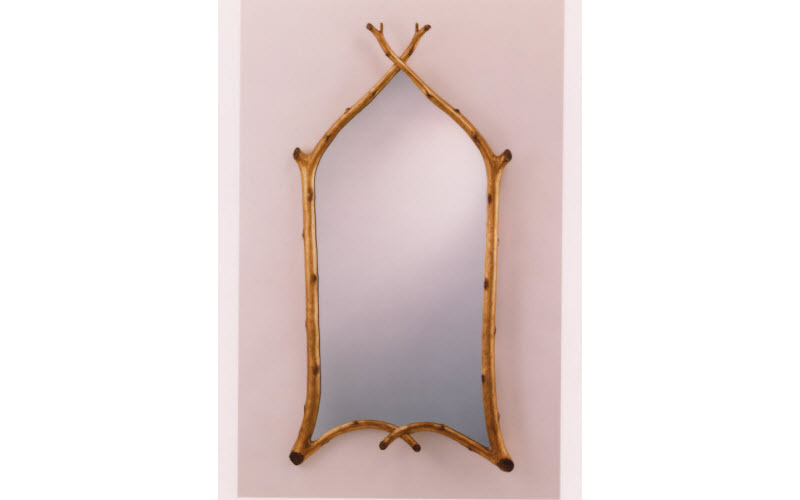 Shown as a floor mirror, hangers are also provided for wall use. As seen in Domino magazine. 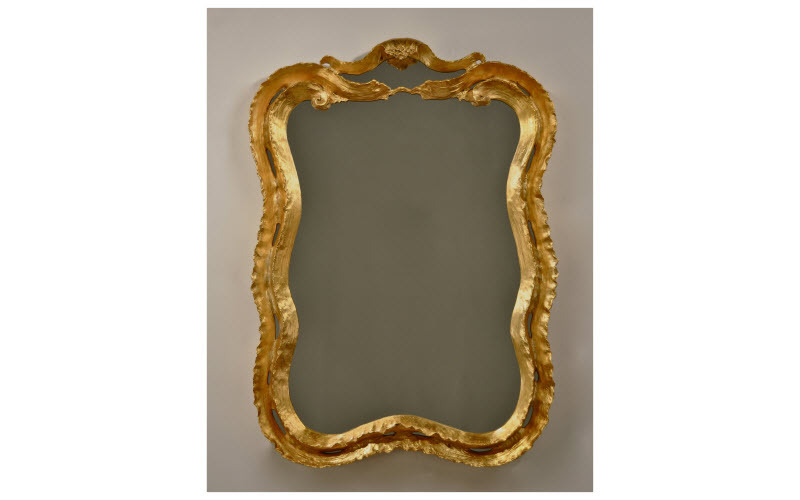 $1,225 Gold • Adapted from an antique English fireplace screen. Available in Old Gold or Antique Iron. As seen in Domino magazine. 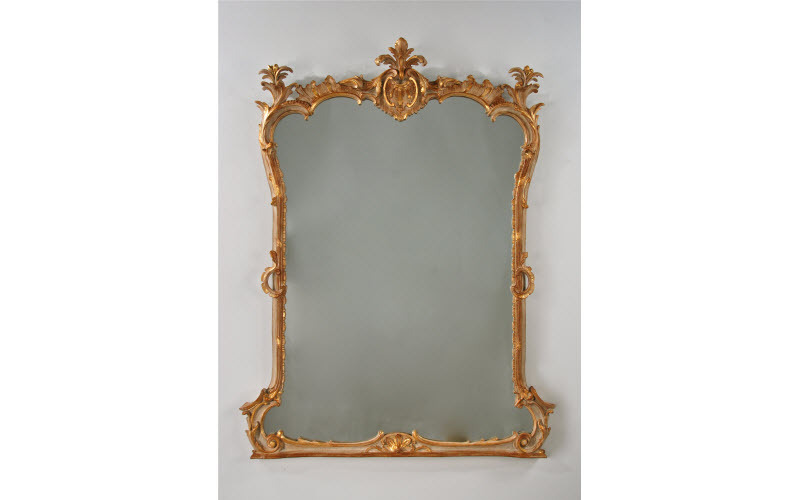 $1,875 Gold • An 18th Century Chippendale design with delicate but emphatic eloquence. Available in a variety of leaf and painted finishes. As seen in House Beautiful magazine. 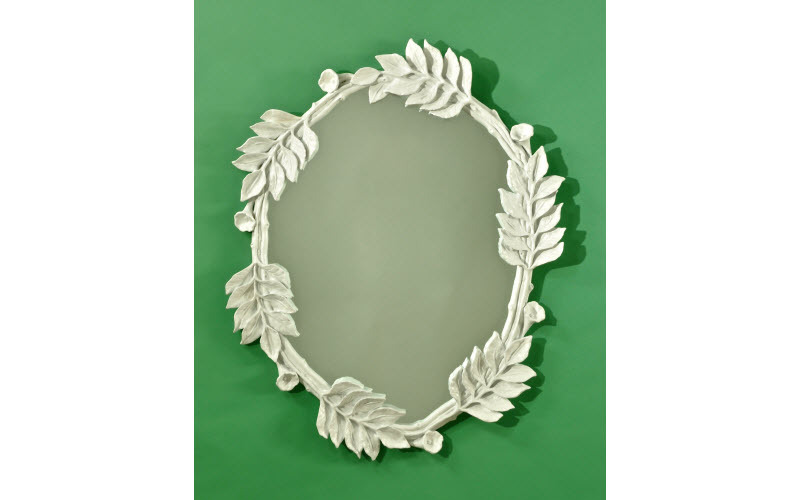 $1,475 White • A regal mirror available in a variety of painted, wood and leaf finishes. As seen in Shop Etc. magazine. $1,450 Tortoise • $1,175 Gold • A delicate version of the Oriental bamboo motif available in a variety of leaf and painted finishes. As seen in Domino magazine. 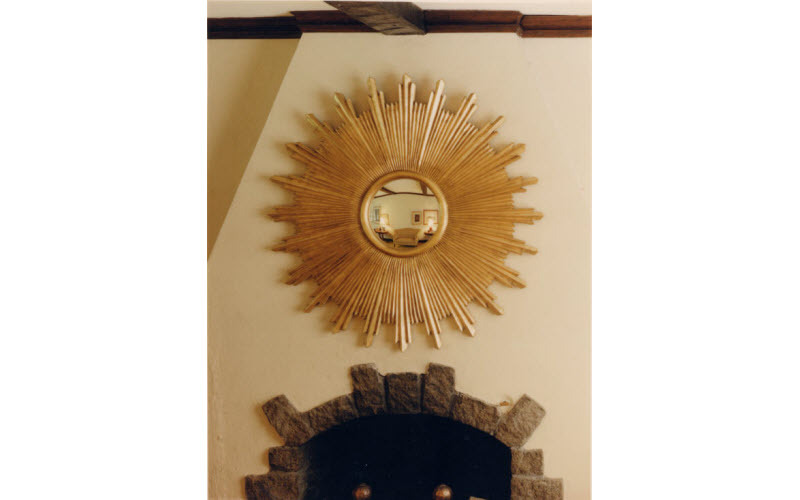 $2,125 Gold Leaf • $3,125 Silver • Bursts of fully sculpted antique gold leafed rays radiate a fiery light from an inner convex mirror. As Seen in House Beautiful magazine. 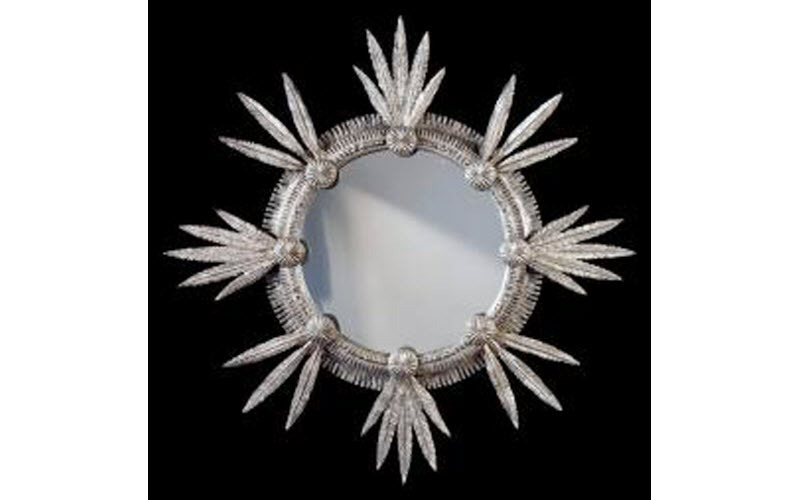 $2,050 Sterling Silver • This fanciful mirror is a burst of symbols from the Indian traditions of the Great West. A ring of fringed and beaded rawhide is encompassed by a headdress of feathers clasped by conchas. The frame is leafed in sterling silver. The design is centered by a convex mirror – bright like the sun and round like a council circle or kiva, gathering in all that surrounds it. As seen in Domino Magazine.